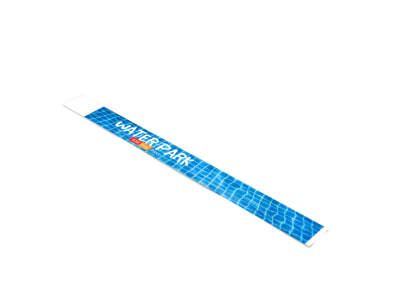 Keep track of your water or theme park customers, historic sightseeing tour participants, or wine country touring tasters with custom-designed wristbands that set them apart from the rest of the crowd. MyCreativeShop has plenty of travel wristband templates for you to choose from – book the one that speaks to you, then tweak all the details in our user-friendly online editor. Choose to print them yourself or let us deliver them right to you in time for your next group of fun-loving customers!